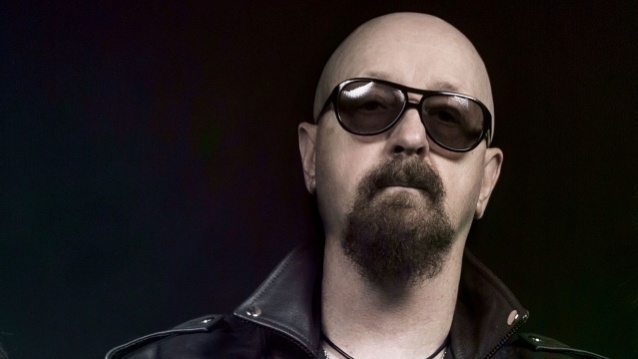 JUDAS PRIEST singer Rob Halford will guest on tomorrow night's (Sunday, March 3) episode of "Ride With Norman Reedus" on AMC. A preview clip is available below. "Ride With Norman Reedus" is an American travel series that premiered on AMC in June 2016. The series follows actor and motorcycle enthusiast Norman Reedus where he and a guest of the week travel across a different destination on a motorcycle while exploring the city's biker culture and checking out various locales. Other guests this season include Ian Anderson of JETHRO TULL and Marilyn Manson. "Ride With Norman Reedus" is produced by Left/Right with Ken Druckerman, Banks Tarver and Anneka Jones serving as executive producers along with Reedus. JUDAS PRIEST will return to the United States this spring for a run with fellow classic heavy rockers URIAH HEEP. The 32-date trek will kick off on May 3 at the Seminole Hard Rock Hotel & Casino in Hollywood, Florida and wrap on June 29 at The Joint at Hard Rock Hotel in Las Vegas, Nevada.